Some collaborations are so perfect they rouse emotions we didn’t know we were capable of. 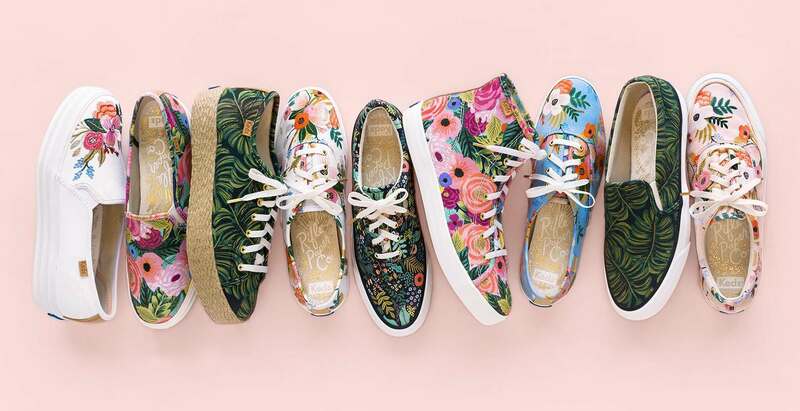 This partnership between stationery geniuses Rifle Paper Co and footwear favourite Keds is an excellent example of this. We felt delight, excitement, envy, surprise and longing as we scrolled through this very pretty glittery, floral range for little (and bigger and the biggest!) feet. 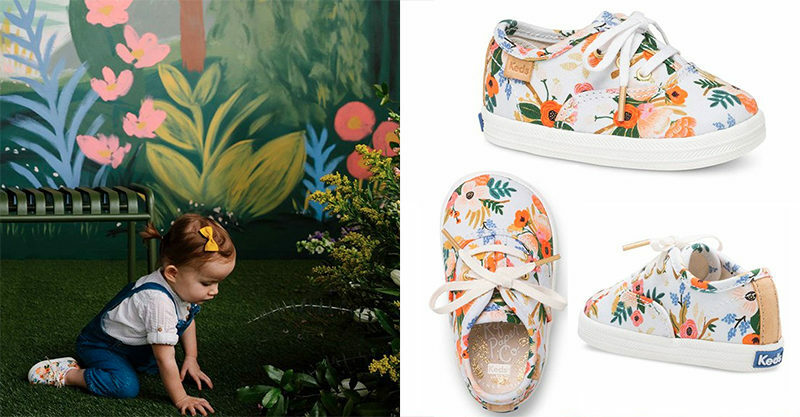 Rifle Paper Co X Keds Collection’s brand new Infant Champion shoe is available in infant sizes 1 to 4 for $35US. This shoe features the usual Keds detailing: brass eyelets, cotton laces, canvas printed upper and cushioned insole for comfort. 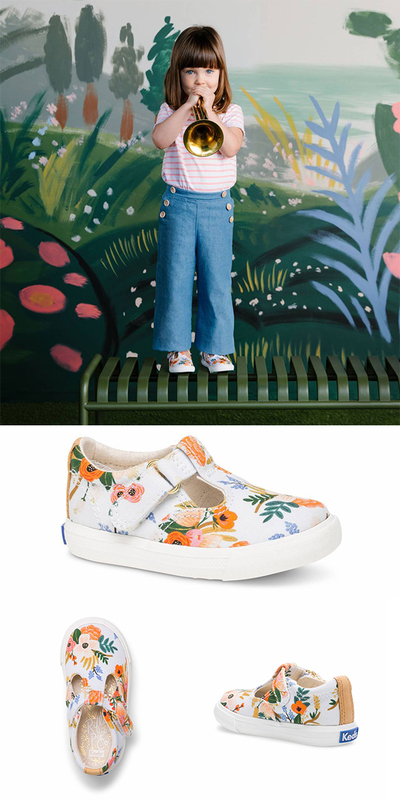 Rifle Paper Co X Keds Collection’s Daphne shoe for big and little kids retails for $45US and comes in sizes 5 through to 12. This shoe feels like a sneaker, but has the fancier touch of a t-strap closure. Perhaps a dressed-up, flowery sneaker describes it best?! 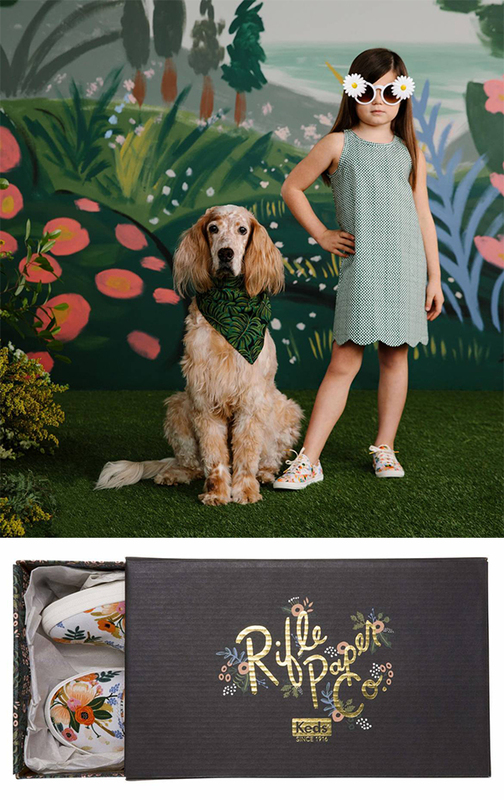 Rifle Paper Co X Keds Collection’s Little Kid Champion comes in sizes 5 through to 10 and retails for $45US. 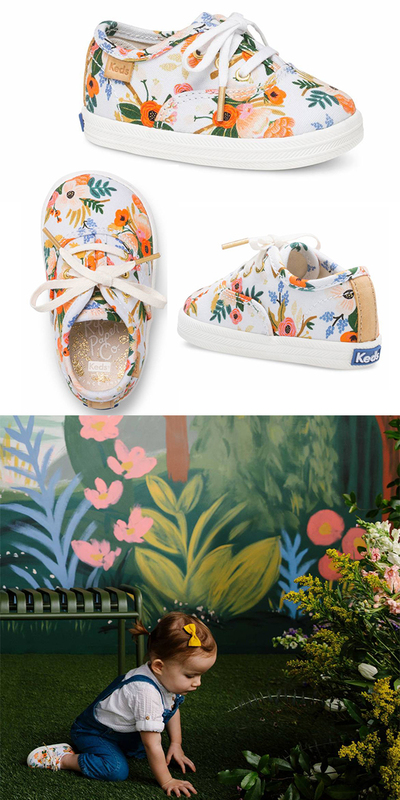 This sneaker features the classic Keds style smooshed together with the brilliant illustrations we’ve come to LOVE from Rifle Paper Co. The results are blooming lovely! The women’s range comes in a bunch of different styles and ranges from $60 through to $80. Rifle Paper Co ships internationally via FedEx, so get in quick before these lovely kicks get snapped up by other flower lovers! These cute shoes are also available on the Keds US site, although you’ll need a US shipping address (available via Australia Post) if you want to buy from there.